In a world where a few top voice-over actors have successful careers making movie trailers, Duluth-native Don LaFontaine was known as “The King, “Thunder Throat,” and “The Voice of God.” When he died in 2008, he had recorded over 5,000 movie trailers and as many as 350,000 television and radio spots, and he was recognized as probably the best voice-over actor ever. LaFontaine was born in Duluth on August 26, 1940. His parents, Alfred and Ruby, resided at 2711 West Second Street. Alfred worked as a switchman for the Northern Pacific Railway. He grew up in Duluth, attending public schools. He said later that his voice changed suddenly when he was 13 years old, from a teen-age boy’s soprano to a deep baritone. Don attended Duluth Central High School, where, among other things, he was active in A Cappella Choir, Public Speaking Club (he was president in his senior year), and Photography Club. He described himself as a cut-up in school and was named “Wittiest Boy” as a senior. He graduated from Central in 1958, in the same class as Olympic ski jumper Gene Kotlarek. Following high school, LaFontaine joined the army. After basic training, he was stationed in Fort Meyer, Virginia, where he was assigned to the U.S. Army Band and Chorus as a recording engineer. Following his discharge from the military, he moved to New York City where he found work creating radio spots. In 1963 he and business partner Floyd Peterson formed a company to produce advertising spots for movies. He was producing a spot for the 1964 movie Gunfighters of Casa Grande when the voice-over actor didn’t show up. Don did the voice-over himself, the spot was sold, and his career in voice-over was started. On 1976 LaFontaine started his own company, Don LaFontaine Associates, which produced movie trailers. He moved to Los Angeles in 1981 to work as a voice-over actor. He was contacted by an agent and launched a career that spanned three decades. Soon he was averaging six to ten recording jobs a day, and on several occasions recorded 26 individual sessions in one day. He hired a chauffeur to drive him around to the various sessions and was reportedly making a six-figure income. He became one of the most recognizable voices in Hollywood. 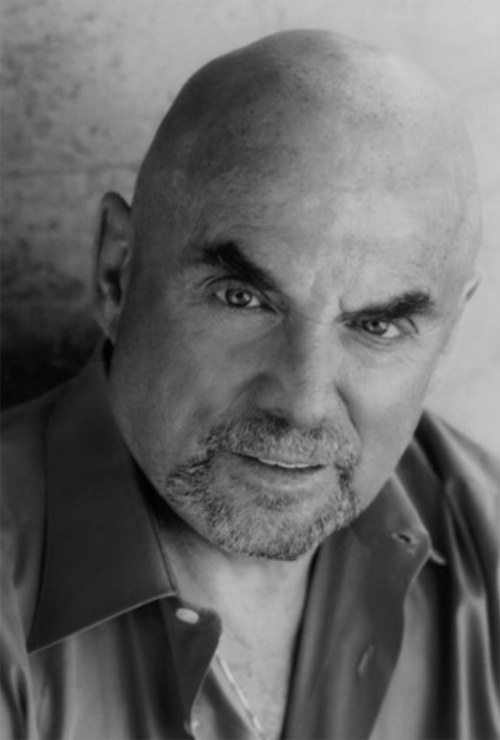 Over the years, Don LaFontaine voiced thousands of movie trailers, including trailers for Ghostbusters, Field of Dreams, The Terminator, Shrek, Friday the Thirteenth, Batman Returns, and Home Alone. When asked, LaFontaine would say that his favorite trailer was the one he recorded for the 1980 Anthony Hopkins film The Elephant Man. Don is credited with creating the phrase “In a world where…,” which was much used by him and copied by others in movie trailers. He acted as the announcer of America’s Most Wanted for two decades, read clues as a guest narrator on TV’s Jeopardy, and recorded thousands of radio and television ads for major companies, including Chevrolet, Ford, Budweiser, McDonald’s, and Coca Cola. In 1988 he divorced his first wife, Joan Studva (mother of his daughter Christine) whom he had married in 1969. The following year he married former Miss Louisiana Nita Whitaker, a professional singer and actress. They had two daughters together, Skye and Elyse. He wrote the script for the 1998 film Sandman, a children’s fantasy which included acting roles for Don and his family. He also appeared in movies, usually in a narrator or voice-over role, such as The Birdcage, Scrooged, Time Walker, A Man Called Sarge, and Plump Fiction (a parody of Pulp Fiction). Despite his abundant work, LaFontaine is perhaps best known for portraying himself in a 2006 GEICO commercial. In 2000, Don LaFontaine was honored at the Cannes International Film Festival, and he was presented with a Lifetime Achievement Award at the 2005 Hollywood Reporter’s Key Arts Awards. In August of 2008, he was brought to the Cedars-Sinai Medical Center in Los Angeles, suffering from a pulmonary embolism. He died there on September 1, 2008, at the age of 68. The cause of death was listed as a pneumothorax. He is buried at the Hollywood Forever Cemetery.